See us on TV below, IDS was featured on the TV show Breakthroughs, specially on a segment about “Gun Safety & the Power to Protect Ourselves” with host Martin Sheen. This Breakthroughs interstitial PUBLIC TV segment was distributed to Public Television stations in all 50 states. The overall project was distributed to Public Television Stations nationwide to approximately 60 million households. 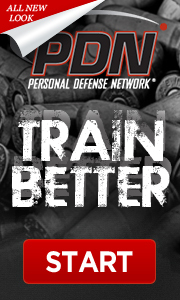 This was a corporate profile/ educational documentary profile with expansive and detailed information documenting firearm safety and the power of self-defense. You may have also seen the 1 minute prime-time commercials that aired in the Washington Metro area on the FOX, MSNBC, CNBC, CNN networks.